Hello metal fans from the east coast and onward! 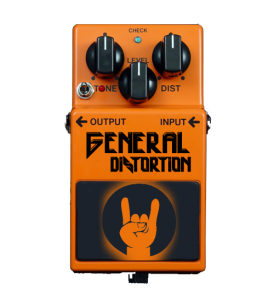 This is the very first episode of General Distortion, a podcast/radio show where myself and my longtime metal brethren Sean Carroll talk about our experiences with the east coast metal scene, talk to the various artists that we’ve come to know and talk about any topic that comes to mind! This is our way of giving back to all the awesome people we’ve met over the years and the amazing music that has shaped who we are today! So here it is, our very first episode! We hope you all enjoy it! Next week! We sit down with Chris Waddell from the Wasteland Zombies! Chris is the host of CHSR’s “The Crazy Train”, a longtime veteran of the music scene and is a former special effects make-up artist on the hit show the X Files! We’ll be talking about his experiences in music, what its like to be an alien for a day and his trip to Egypt! Tune in next Monday from 10-11:30pm!